THE SECOND PAIR IS REAL. Originally influenced by the logo tape details running down the sides of ’80s tracksuits, the Gucci jacquard stripe has been repurposed in several variations appearing throughout ready-to-wear and accessories. 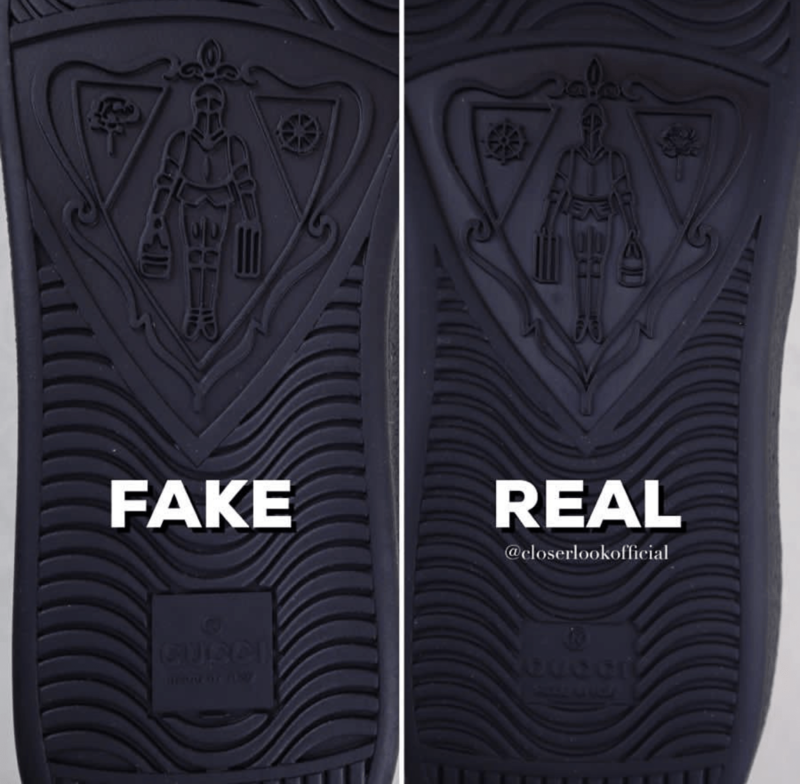 You know how hard it is to spot a fake product if you are shopping for it online or in an unauthorized shop. 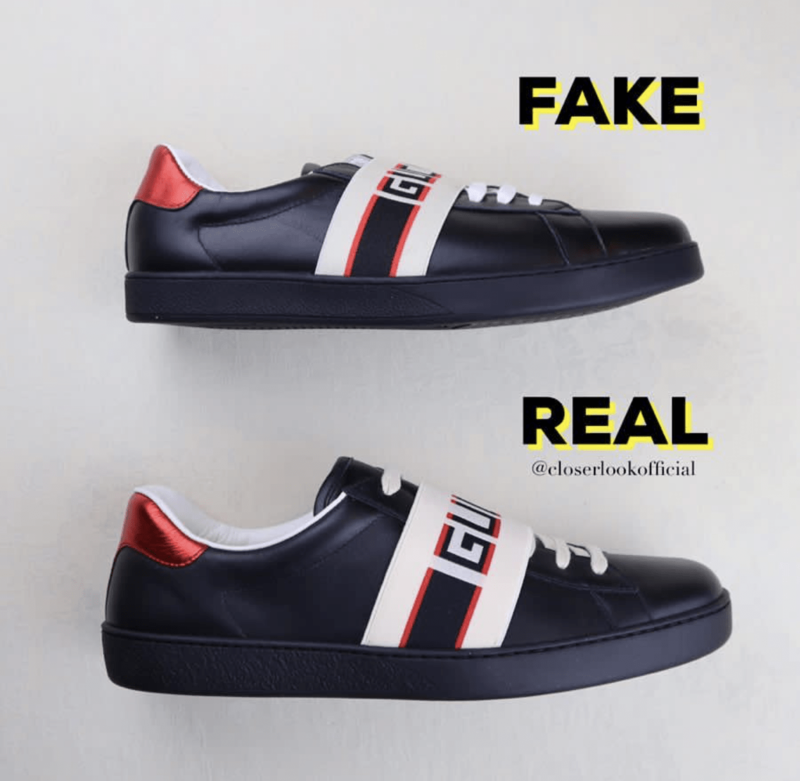 There are many different factors and signs in which you can see how the changes between fake and authentic Gucci Sneakers can be spotted. 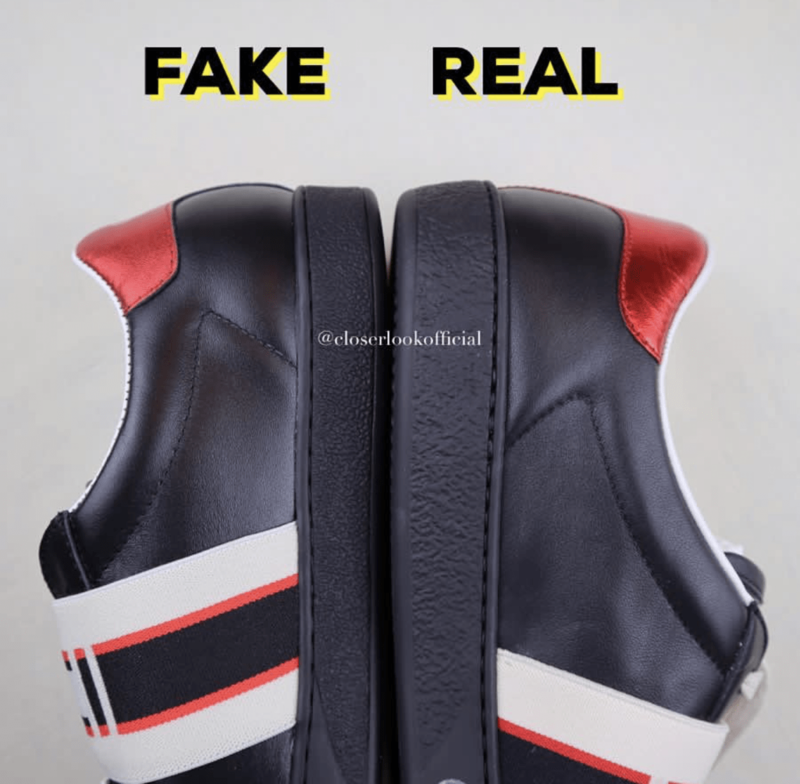 We have decided to share with you below some pictures in details for Ace sneaker with Gucci Stripe Black. 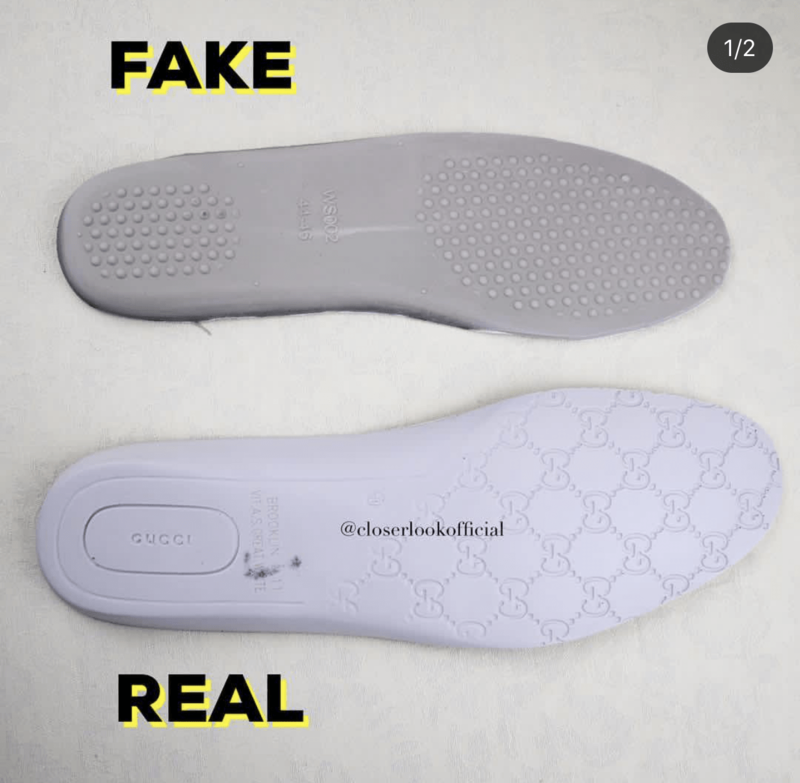 You can clearly see that the Fake Gucci Sneaker is smaller than the authentic one. 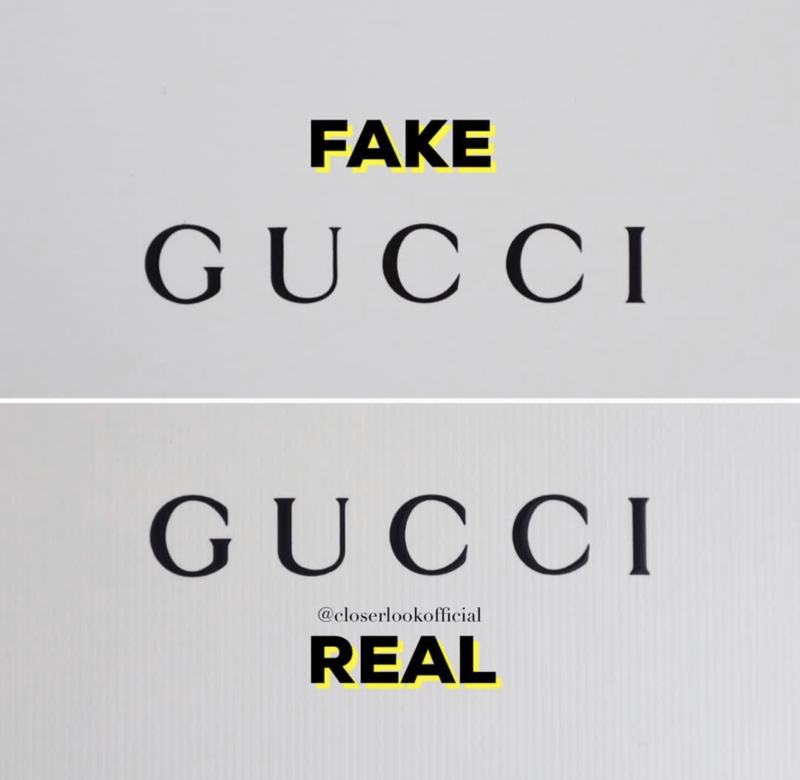 Also, the font of the Gucci logo is completely different from the real one. Another detail you need to check is the shoelaces which in the Real sneakers are very near the front while in the fake one they are far from it. The shoelaces color is pure white in the Fake pairs while as you can see in the Real sneakers they are like a milk color. The stitching in the Fake sneakers is very poor and ugly. Usually, the stitching is the easiest way in which you can spot a fake material. They are not handmade and can be spotted instantly with a detailed look on them. The shape from a side view of this sneakers reveals clearly their differences. 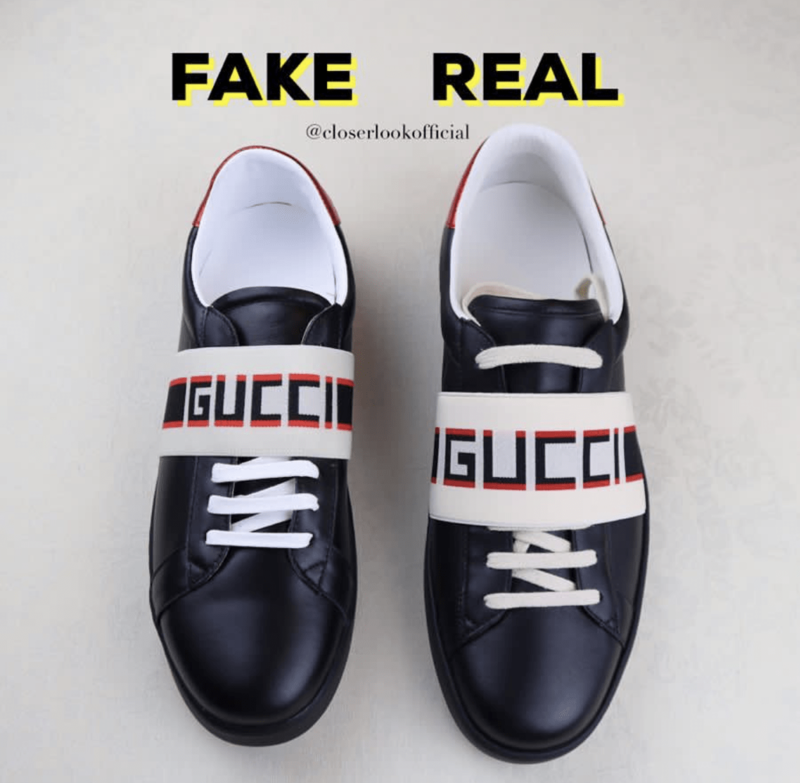 The fake pairs are shorter and as you can see the Gucci Logo cannot be seen from the side while in the Real pairs you can see “CI” letters. Same things on the other side the Fake sneakers are like someone has pressed them. They have an irregular shape. 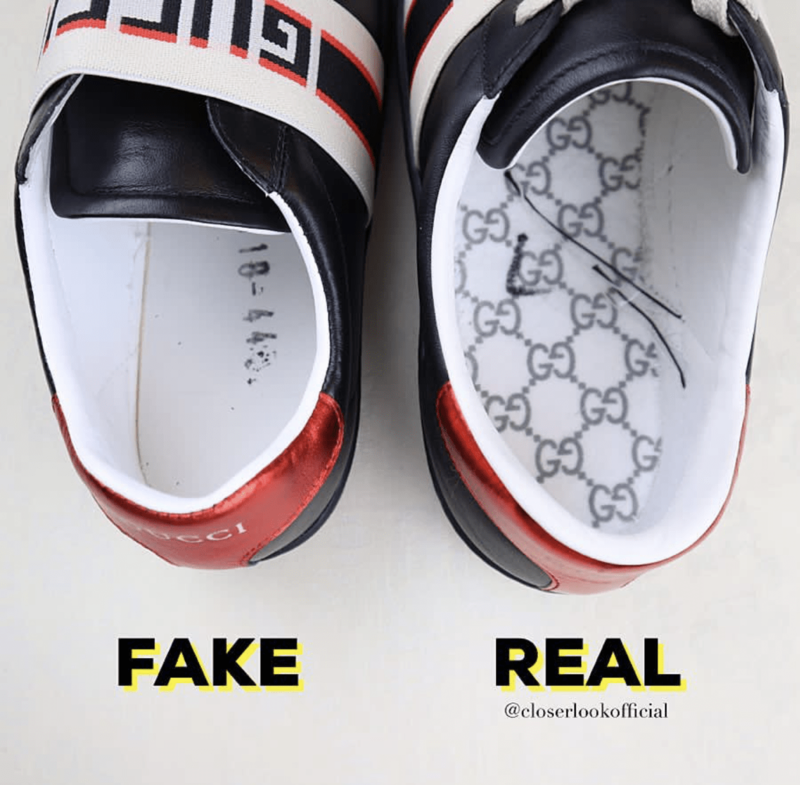 The inside part of the Fake Gucci Sneakers has no logos and no prints on it while the Authentic one has small GG logos all over it. You can clearly see that also from behind they have GG logos stamped. Make sure to Red color behind of the Sneakers is very shiny and the Gucci Logo is in a Gold color. 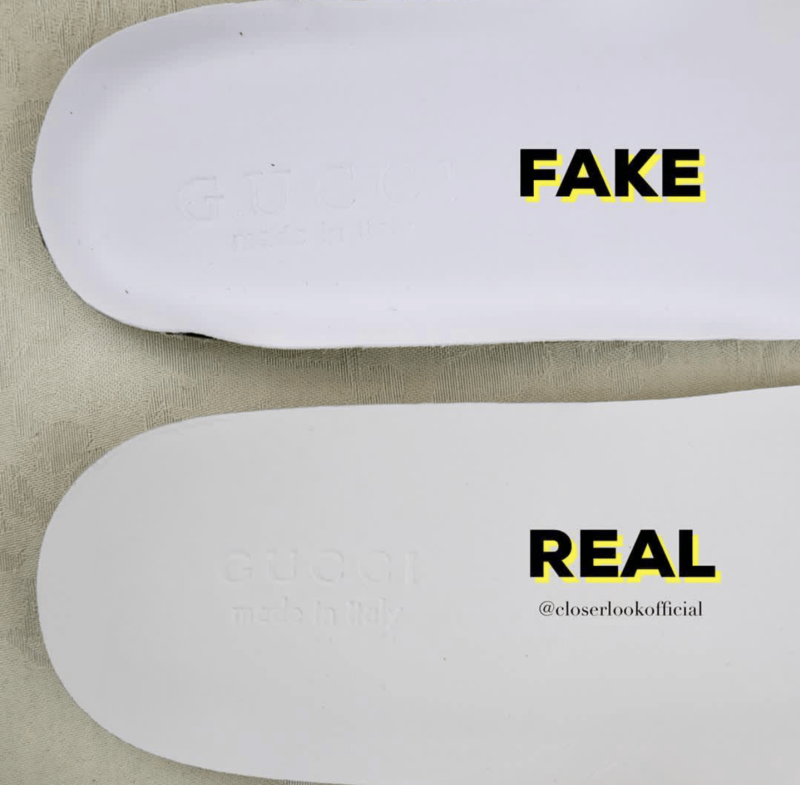 As you can see the fake sneaker has a white font of the Gucci logo and a simple Red color. The bottom of the sneakers is completely different as you can see. 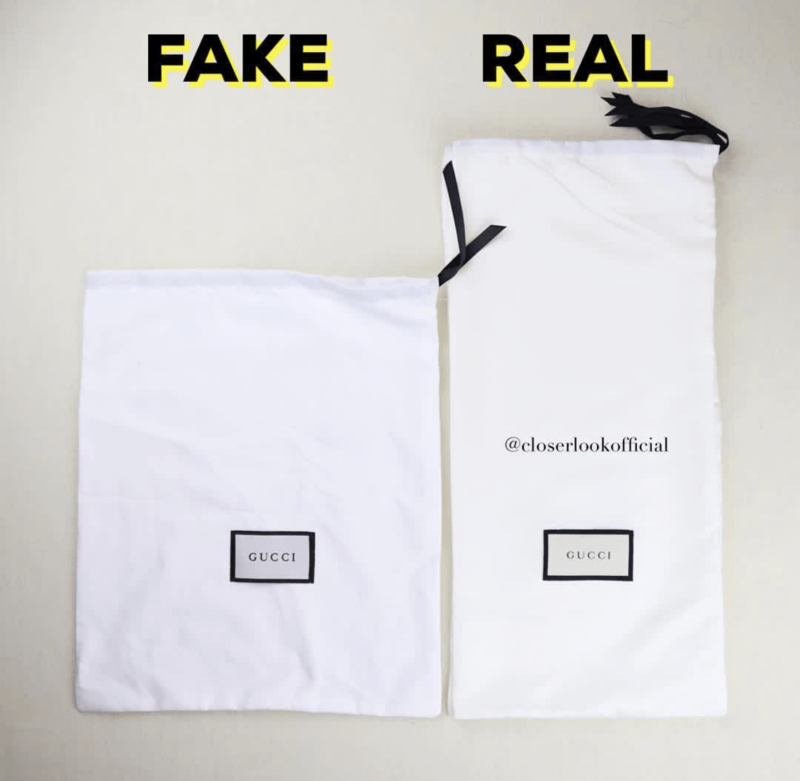 The dust bag in the FAKE is shorter than the authentic one and has more like the square shape. 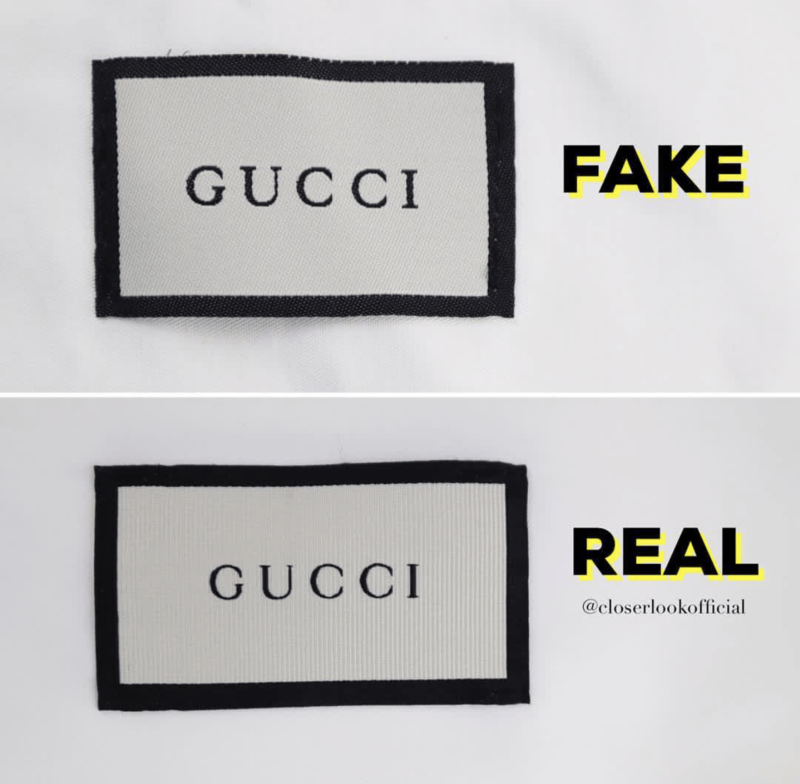 The stitchings of the Gucci logo is not aligned well in the FAKE while you can see the perfection on the AUTHENTIC. 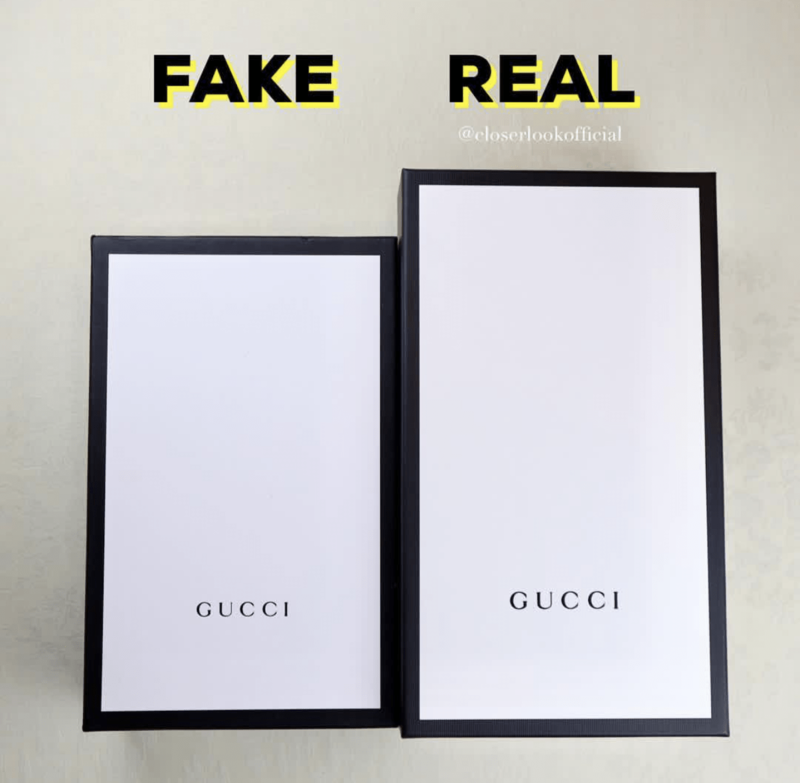 The Fake Gucci Box is much shorter than the Original one and has a very bad writing of the “GUCCI” as you can see in the pictures below. 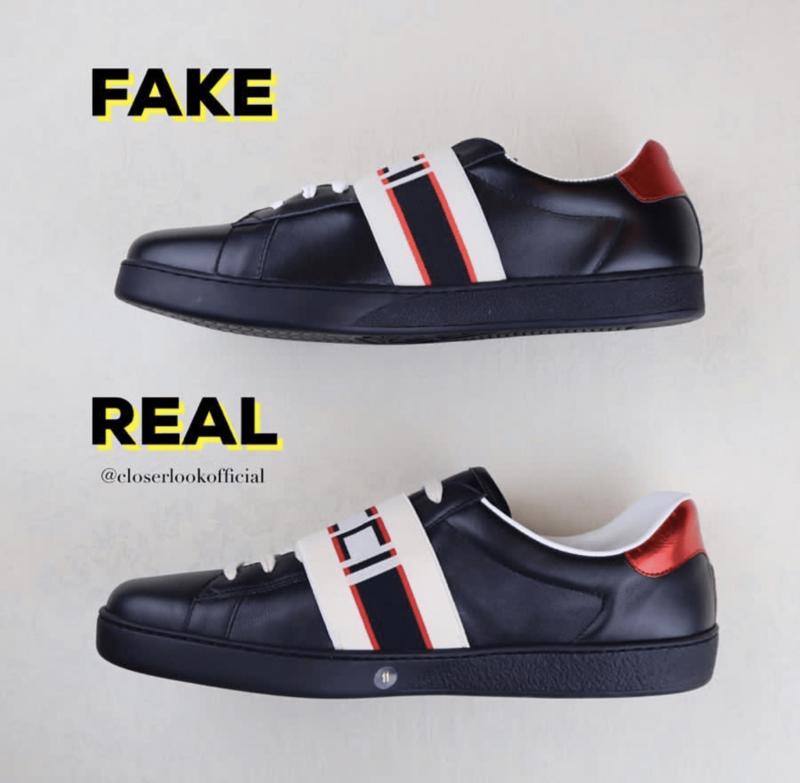 I hope this article was helpful to you and made it easier for you to spot the fake Gucci Sneakers. 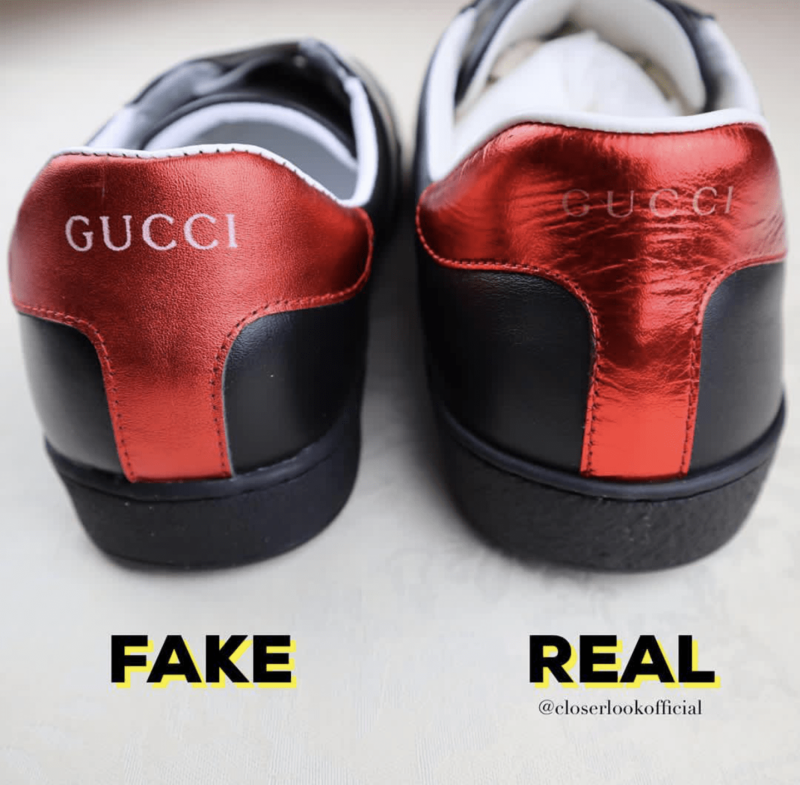 All photos are courtesy of @closerlookofficial which helped us with the amazing photos he took for Ace Sneaker with Gucci Stripe logo, make sure to visit his profile for more fascinating Fake and Real discoveries.